In choosing a KOENIG EXPANDER® you must consider that the material of the sealing plug and the material of the production piece can show different electrical potentials. In the presence of an electrolyte (e.g. 5% water-NaCl solution), this potential difference causes electrochemical attack on the least noble of the metals in contact – galvanic corrosion. In this case, either the base material or its surface protection will become the anode and will be transferred to the pure metal of the cathode. 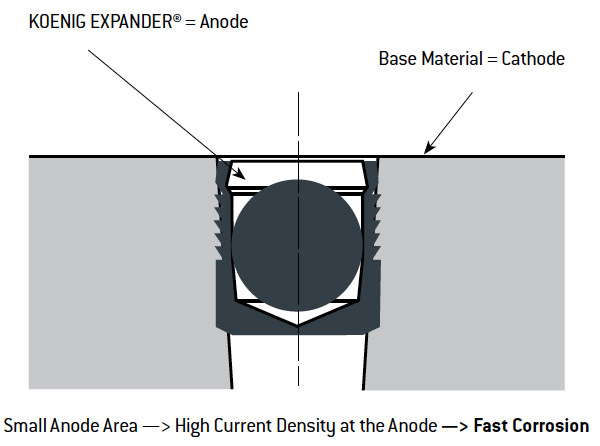 The corrosion speed or the current density will be determined by the relative surface area or volume of the anode and cathode as illustrated below. 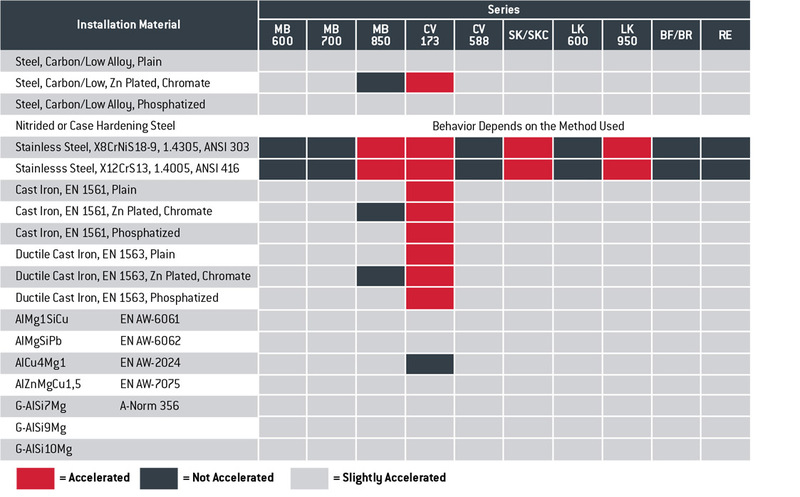 The following table shows the expected galvanic corrosion behavior of KOENIG EXPANDER® plugs in common base materials allowing for the relative surface areas of both metals, which influences the speed of corrosion. 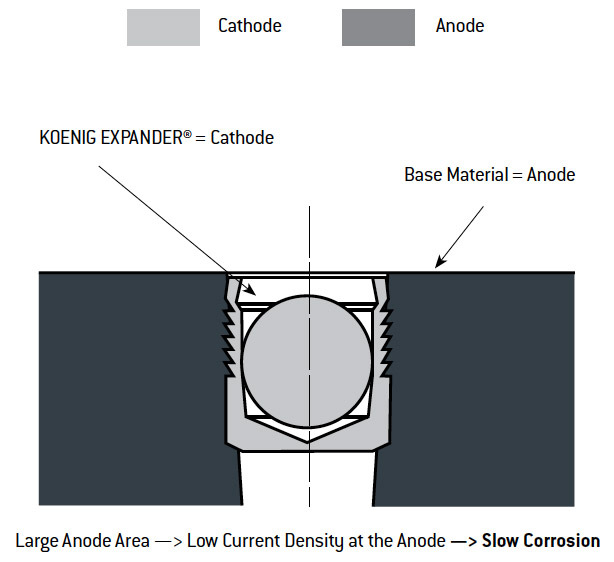 Key to the galvanic corrosion behavior of KOENIG EXPANDER® plugs in the presence of an electrolytic medium installed in base materials per the above table. Choose materials with no or low potential difference. Use corrosion reducing designs, i.e. if possible prevent the accumulation of fluids on the outer surface of the workpiece. By using suitable surface coatings, corrosion attack can be considerably reduced. Our sealing and flow control solutions comply with global quality assurance and certification standards.